Chris and Lynsey Stratford - Managing Partners, Curio Bay Southland. 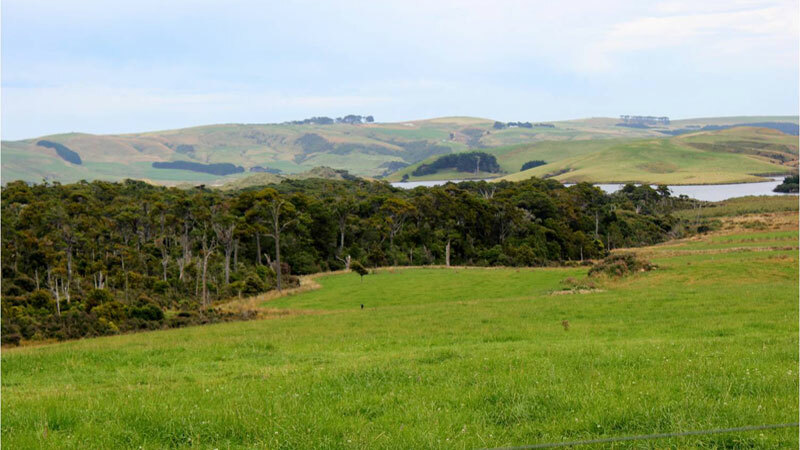 The South Coast Dairy partnership began converting a 200ha sheep and beef farm to dairy near Curio Bay, Southland in 2009. The partnership involves five families and, from the outset a strong governance focus ensured the group had a clear vision, mission, values and key performance indicators. Managing partners, Chris & Lynsey Stratford say clear communication is a key aim, and quarterly conference calls and two face-to-face meetings a year are backed by monthly financial and farm reports produced by the couple. The property sits on gently rolling to easy hills between Curio Bay and the Haldane Estuary. The milking platform is 135ha, with about 18ha of sand country and 29ha of rare original almost-coastal podocarp forest. The balance of the farm, 20ha, includes riparian margins, gullies and wetlands. The farm has just finished its fourth production season, peak milking 374 cows and producing 169,300kg/MS from a mainly grass system. Starting with a ‘blank canvas’, the partnership engaged a number of professionals to provide advice about the property’s soil types and features and to plan the infrastructure for the conversion. The partnership talked to other farmers about recommendations for contractors and designs and visited their sheds to get ideas. The unique features of the property, including wetlands, sand country, a freshwater lake, and the podocarp forest meant that a number of stakeholder groups had an interest in the land. The partnership worked hard to form positive relationships with these groups, including Fish & Game, Iwi, DOC and Environment Southland from the outset. The advice and contacts that these stakeholders provided was essential to the success of the conversion. The partnership knew what they wanted to achieve but these groups were able to provide expertise in the form of ‘how to’. The Land Sustainability Team from Environment Southland were especially helpful. They created shelter planting plans for the property and recommended suitable species which would survive in the coastal environment which has very strong winds. They also introduced the LandCare Trust representative who was able to provide practical help and secure funding for fencing and protection of the podocarp forest. The whole property was regrassed during the conversion, lanes were created and paddocks were fenced and a reticulated water system with troughs to all paddocks was installed. The fence lines, water lines, troughs and water taps were all GPS mapped to aid in future maintenance. Taps were installed to allow water to different blocks to be turned off if leaks needed management. The water system also enables minerals to be added to the water to keep the stock in good condition. Once the water system was installed, all waterways were fenced off. So far more than 10,000 plants have been planted across the property. Planting and release spraying of these plants is an ongoing project which happens each year to keep the workload manageable. Community Groups including the Lions and the YMCA Conservation Corp have helped with this. 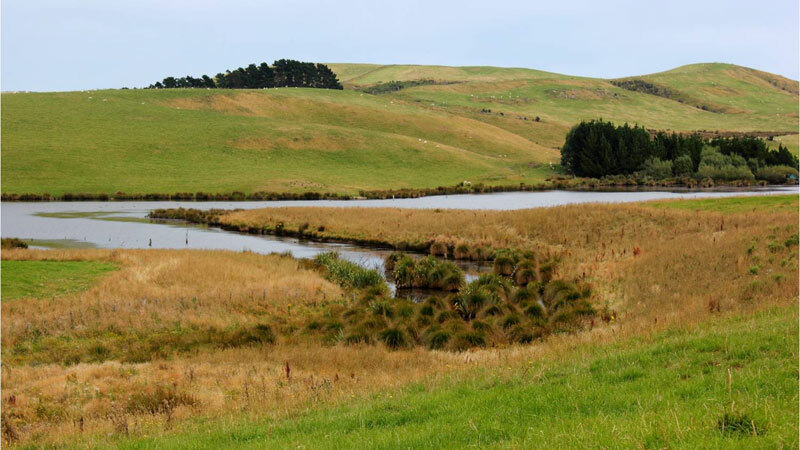 The partnership began water quality testing through Environment Southland before the conversion when sheep and beef stock accessed the water from waterways and before the dairy farm was operational. They continue a programme of voluntary quarterly testing across the property. This has shown a significant improvement, particularly in clarity and the reduction in coliforms since the water system was introduced, the waterways fenced and the dairy farm operational. Effluent system design and construction was very important and the partnership engaged ‘Accredited designers’ to design the system. Once the system design and specifications were complete the job was tendered to accredited installers. The system uses a weeping wall to separate the solids. Liquids are then pumped to a storage pond which has 120 days storage. 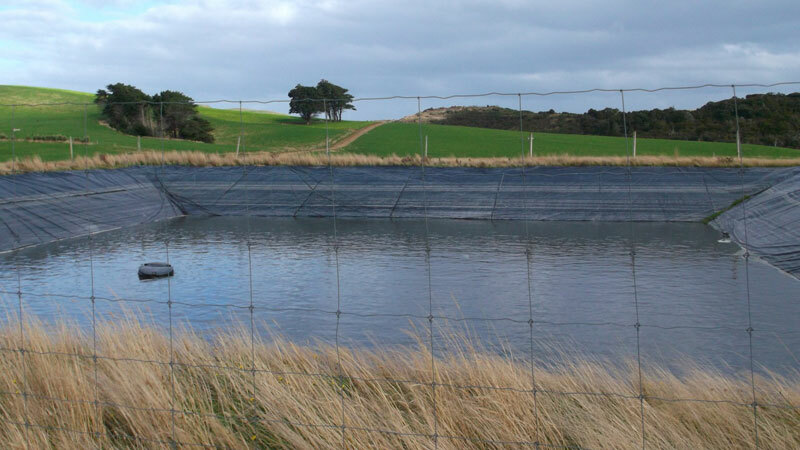 The extra storage means that the pond is future proofed, but more importantly effluent can be stored until the optimum time and conditions to apply for grass growth. The extra capacity allows nitrogen to be stored to control use and avoid any leaching – the system is backed by on site soil moisture tapes which measure soil capacity and ensure effluent is only applied when conditions are right. Extra storage also takes the pressure off on farm during busy times like calving; effluent can be stored until time is available to move the low application rate k-line pods. The effluent application area was created to avoid any high risk paddocks e.g. those with waterways. A fail safe system is in place to mitigate any risks with the system. Documented policies and procedures for managing the system are backed up by on farm training and also Primary ITO training in effluent management. The dairy was built using best practice water and energy use at the time but the partnership regularly monitor new developments and improvements in technology to ensure they are keeping up with best practice. 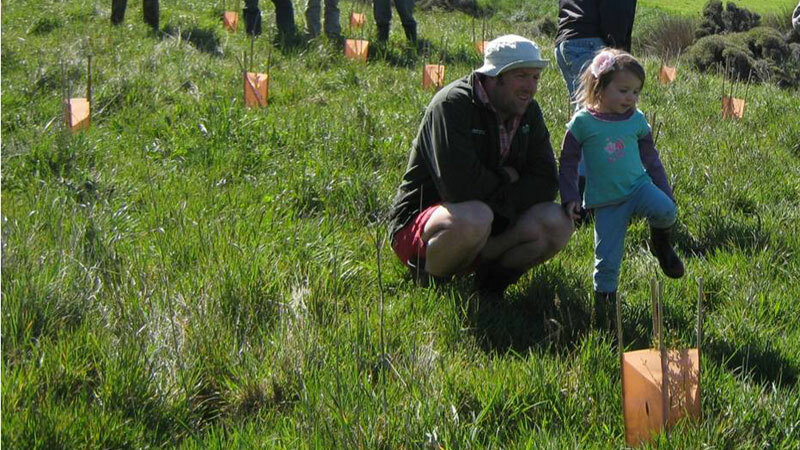 “DairyNZ’s Water Smart resources have been useful” says Chris “and we did an energy audit using the EECA resources to look for areas for improvement last year which resulted in us installing vat insulation. The EECA resources are great because they tell you how long it will take for your investment to pay for itself." Sensitive environmental features: Rolling hill country, coastal area, estuary, sand dunes, rare native forestry, waterways, a lake and wetlands. Find out about the three essential stages of good planning and ensure your conversion gets off on the right foot.